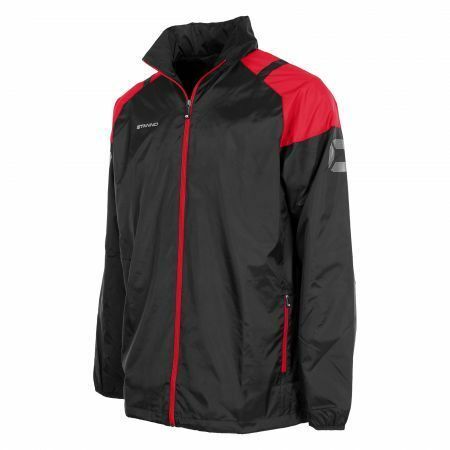 Centro All Weather Jacket - Junior Black/Red Includes TBGYFC OR TUFC Embroidered Logo. The name says it all: this all weather jacket is suitable for various weather conditions. It is made of 100% polyamide, finished with a water-repellent coating (600mm PU). 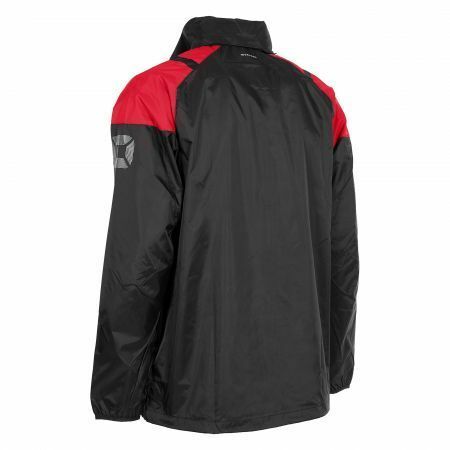 On the inside the jacket has a mesh lining and taffeta lining in the sleeves, that makes it windproof. There's a hidden hood inside the collar and a stopper construction inside the hem to help keep the fit snug so cold air stays out. The opening for a print plate makes it easy to print on the back.